SOLBIATE OLONA (VA), 18th June 2016. 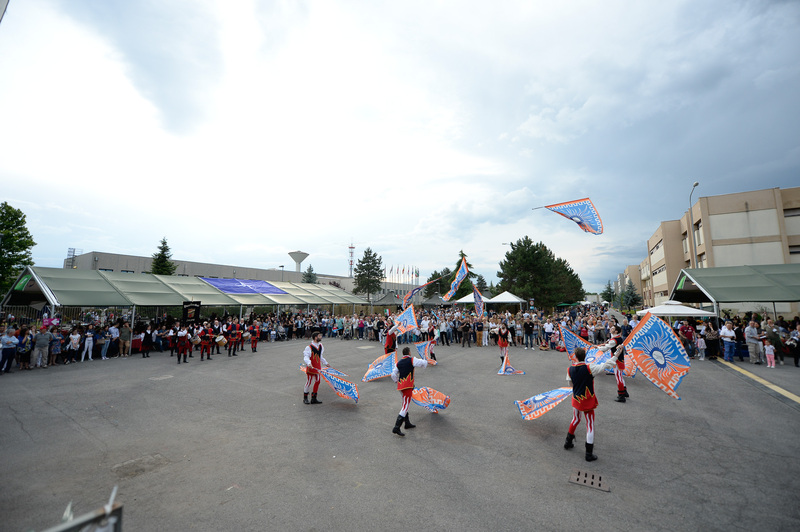 Today at "Ugo Mara" barracks, NATO Rapid Deployable Corps Italy held their thirteenth International Day. The charity event was an opportunity for fun and socializing, with families as the main focus. During the event, the cohesive spirit of the cultures of the 12 different nations that make up NRDC-ITA were strengthened, as well as the celebration enhancing the synergy between the NRCD-ITA command and local institutions, associations and organizations. Over 2,000 soldiers serving in the "Mara" and their loved ones, took the chance to concretely express solidarity. The organisation of the International Day reised money from 37 generous sponsors, from the International Military Staff, and from the very welcome guests of the event in favour of “La Casa Gialla”, a non-profit association from Busto Arsizio aimed at giving children education and support of a family (www.associazionelacasagialla.org). "The International Day is the day we celebrate the multinational soul of our Headquarter, the diversity who make us stronger" - said General Riccardo Marchiò, NRDC-ITA Commander - "men and women of NRDC-Italy are proud to work in such a dynamic environment and happy to live in this flourishing region. As a special thanks to the people of the local communities we organized this charity event in support of “La Casa Gialla” and the children they take care of: to all of them the strongest hug from the International military community of the "Ugo MARA" barracks. "We had no doubt in choosing “La Casa Gialla”," -said Mrs. Laura DEBOLI, President of NIWIC, the NRDC-ITA International Women's Club (http://niwicitalia.blogspot.it/p/about.html). "As women, as mothers, we were impressed by the dedication of this non-profit association to the cause of giving a chance of a better future to boys and girls less fortunate and needy". In addition, two commemorative postcards, realised in collaboration with the national Postal Service, were available with a dedicated special postmark to celebrate the 15th anniversary of NRDC-Italy establishment.